Imagine…a Utopia in which everything grows of its own accord and turkeys fly around ready-roasted. ‘In such a place,’ says Art, ‘men would die of boredom or hang themselves.’ But he’s wrong about that, because this heaven really exists and I, for one, will be glad to find myself there come Thursday. I refer, of course, to Mom’s kitchen on Thanksgiving Day. The great American secular feast approaches like an annual Brigadoon through the November mist. The whole splendid chorus of fowl and stuffing, potato and gravy, casserole and cranberry sauce implores us to eat, drink and be merry: Utopia lives for only a day. Leibnitz, though not murdered, may be said to have died partly of the fear that he should be murdered, and partly of the vexation that he was not. Such a cosmic rebuke. Leibniz might have thought his murder necessary in the best of all possible worlds. Mere death is something even the least can aspire to with confidence; the grand endorsement of martyrdom is granted to few. 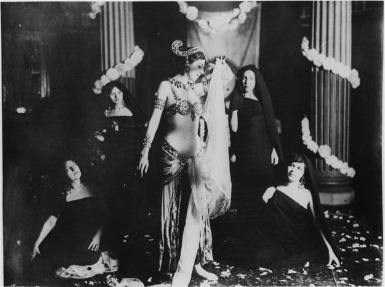 The performance of Phedre, given this afternoon before an enthusiastic audience which included the foremost representatives of the artistic and critical world, was for Mme Berma, who played the heroine, the occasion of a triumph as brilliant as any that she has known in the course of her phenomenal career…It constituted the purest and most exalted manifestation of dramatic art which it has been the privilege of our generation to witness. It is the Frenchman’s readiness to exaggerate that is at the root of his intellectual lucidity and also of his capacity for acknowledging merit. The English were not afraid to exaggerate in the sixteenth and seventeenth centuries, and they were then not far behind the French in the lucidity of their thinking… There is hardly a single instance of cultural vigor marked by moderation of expression. Precisely what Hoffer meant by ‘lucidity,’ I’m not sure. But if the French have a greater capacity for acknowledging merit it may be because they were relatively less infected by the leprous touch of Calvin, the idolatrous fandoms of whose English disciples were checked by the assurance that even the most accomplished among them were, after all, totally depraved in flesh and spirit. Hoffer’s date for the decline in English intellectual vigor coincides well enough with the Puritan Revolution. A capacity for sustained enthusiasm may also explain why so many of the English-speaking world’s former celebrities retire to France. They know that among their Gallic admirers they’ll never have to stoop to touring Indian casinos and small-town community centers for rent money and faint echoes of the adulation they enjoyed in their prime. There are no friends, only moments of friendship. Yes, but with certain persons we seem always to find our moment, a perpetual interval come loose from the tyranny of sequence and forever close at hand. Man was entering under false pretenses the sphere of incredible facilities, acquired too cheaply, below cost price, almost for nothing, and the disproportion between outlay and gain, the obvious fraud on nature, the excessive payment for a trick of genius, had to be offset by self-parody. Schulz is musing on the old velocipedes and how they made their riders look ridiculous. Having now progressed far enough into the Sphere of Incredible Facilities to enjoy the benefits of karaoke, breast implants, spray-on tans and Segway scooters, we see that while Man will always want super powers, he’ll always look silly in tights, and you can’t have one without the other… In more philosophical moments I wonder if it’s really possible to defraud nature, since that would require being outside nature onself, which is absurd. It could be, after all, that global warming is nothing more than Mother Earth blushing at her children trying to keep upright on two wheels. What people believe is a measure of what they suffer. It’s been a couple weeks now since I finished Peter De Vries’ book and I still can’t bring myself to begin another novel. I pick here and there at Chekhov stories, at Montaigne and Emerson and DeQuincey. I read magazines. But in between and throughout the day I return again and again in my mind to The Blood of the Lamb. My father used to say so, and having been a father myself now for six years, I suspect it’s true: Until you have children of your own it’s impossible to understand the burden of heartache that comes with parenthood. It weights your steps like leaden boots. It bounds your vision in every direction. It colors every thought. It groans perpetually in the nerves and in the marrow of your bones, sharp, but vaguely sweet. That people are ever able to survive the suffering and death of their children is incomprehensible to me. I think about the quote above and I think about De Vries’ own loss. The Blood of the Lamb is more than a tragicomic (and more tragic for all its comedy) fictional re-creation of his own daughter’s death by leukemia. It’s also very much about faith, and the death of faith. Perhaps he meant that the more we suffer, the less we are likely to believe; or, conversely, that the more things we believe, the more we are bound to suffer over them. Or perhaps he meant that the particular things we believe (religiously, personally) grow naturally out of our individual fears, as a way of counteracting those fears and pushing them – and the psychological suffering they entail – farther away. But I don’t think so. I wonder, instead, if De Vries was simply saying that we suffer according to the terms of our personal creeds. The believer in Self, then, suffers specifically in terms of the self; the believer in Nothing in terms of the void; the believer in a personal God in terms of close acquaintance with unobliging omnipotence. What does it mean for a believer in Love (as every parent must be) to suffer in terms of love? Maybe The Blood of the Lamb is De Vries’ answer to that question.